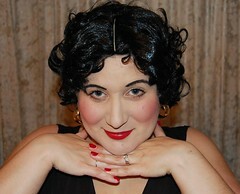 WhiMSy love: The Crafty Chik! Love it! Love it! Love it! In fact, being a crafty chick myself, I love every single one of the gifts in this themed list! 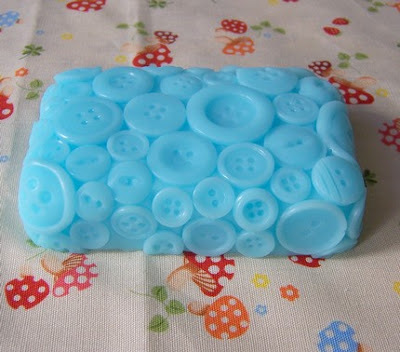 This Button Bar of Soap is made by Kitsch Niche. They even have sewing kit & cupcake soaps! So crafty cool! 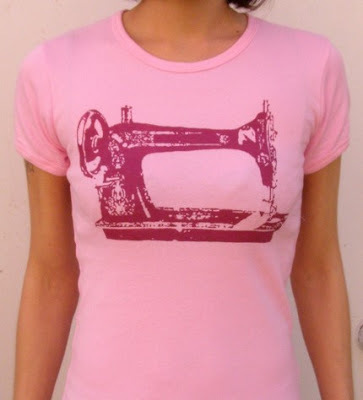 This pink & burgandy Sew a Go-Go T-Shirt is by Moxie Madness. I think a really neato gift for ANY crafter would be a crafty kit. 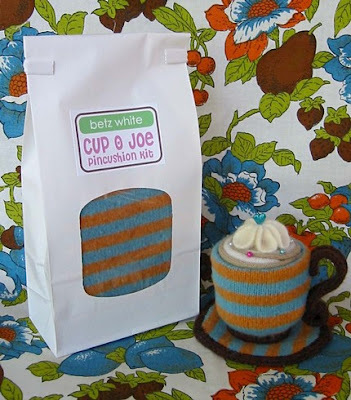 I love the Cup O Joe pincushion kits by Betz White. She is selling 'em fast--there was a cute green striped one I was gonna show, but it sold. Bummer. 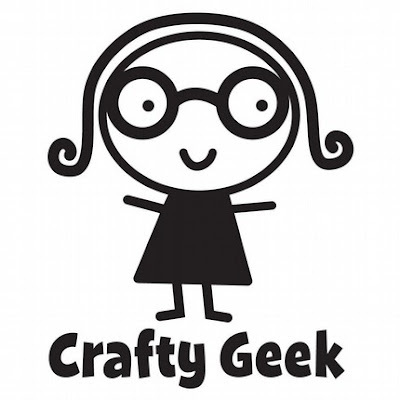 This Crafty Geek Decal makes a fun stocking stuffer! Made by Vinyl Wall Art, it comes in 16 different colors. Check this shop out for a ton of other vinyl wall decals! 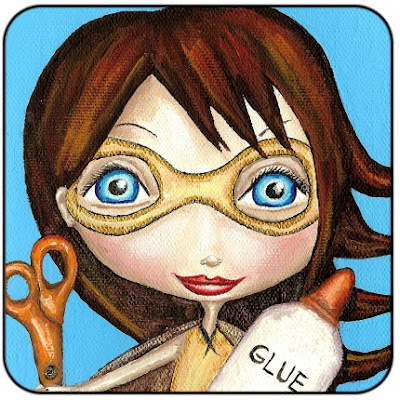 Every crafter needs a super hero to help with those piles of undone projects. This portrait is by The Dreamy Giraffe & it's called Cut and Paste Girl. I always think a hodge podge of crafty doo-dads is a fun gift. Am I the only one? I love getting random bits of items to craft with! 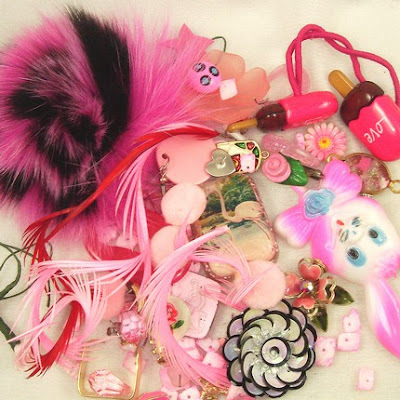 This collection of stuff-n-things is called Pretty Alright in Pink Crafty Curios from Naughty Secretary Club. 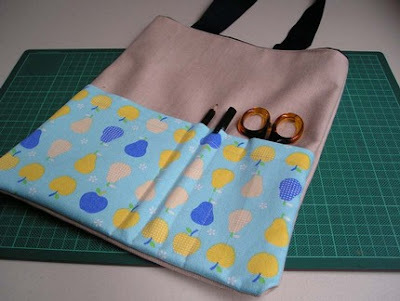 This Apple and Pear Crafty Bag is created by Kelly Zarb: Thrifty miss. Any crafter would be delighted at a gift of ORGANIZATION!!! 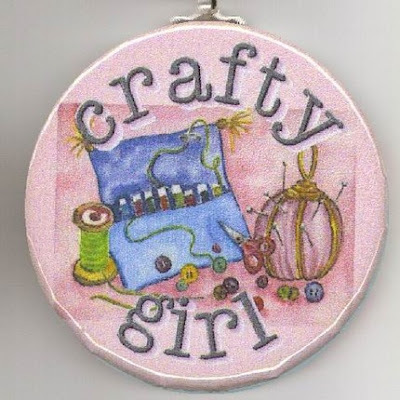 Misty Waterwoman makes these Crafty Girl Keychains. Another great stocking stuffer! OH NIKKI, thanks for all the ideas, I have seen something I may just have to get. This set was my favorite. I'll take one of each please.